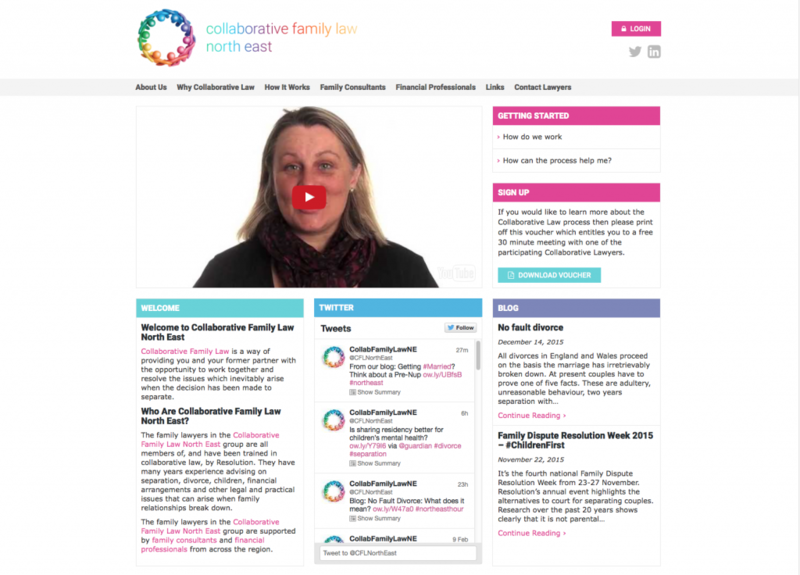 The Collaborative Family Law North East Pod is a group of lawyers from different legal firms who practice Collaborative Family Law. 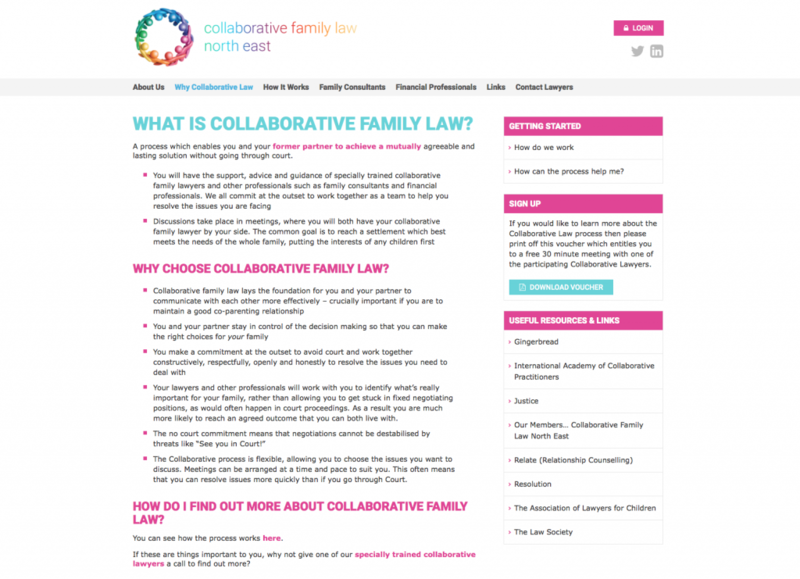 When they asked us to design a website it had to be something that explained this innovative and relatively new form of law to the general public but also appeal to potential new Pod members as well. We discussed an approach that would be contemporary and professional but not too traditionally corporate. We used warm colours to tie in with the colour scheme of the branding. 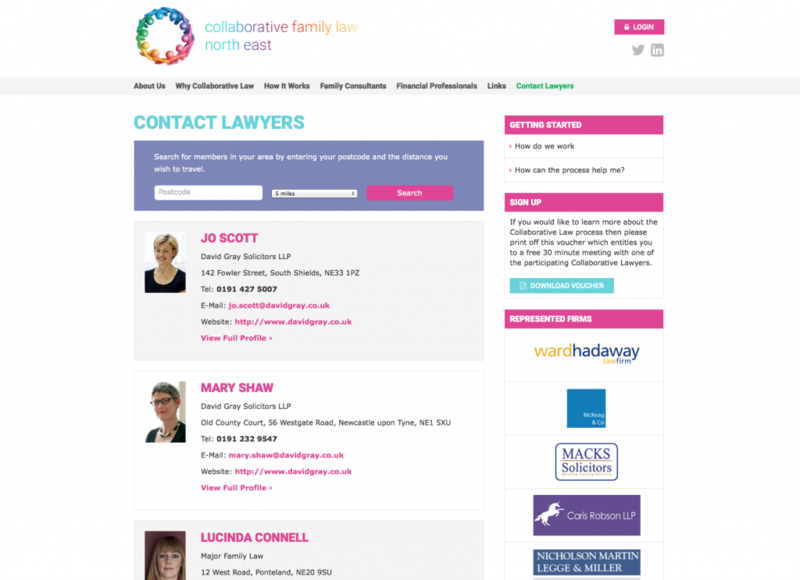 The website is designed so that no particular lawyer or legal company is favoured above another so the logos and lawyer profiles have to refresh each time the pages are visited. 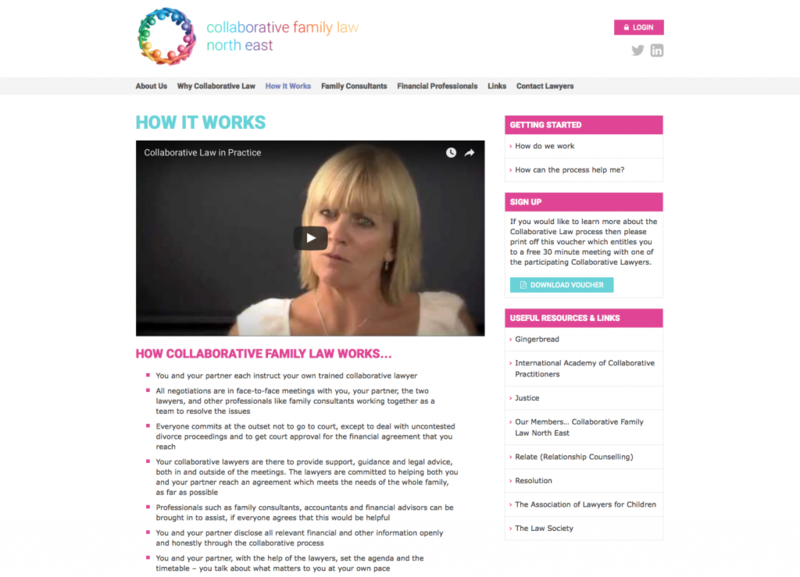 This is an example of a website that has been able to change over time as we have been able to add new features as the Pod’s membership needs have developed. Using a content management system that allows flexibility from day one ensures that there is potential for a website to adapt and grow with a business rather than having to be rebuilt from scratch as soon as new features are required.